Don't mess up a good thing. Stay in the clear with these tips. 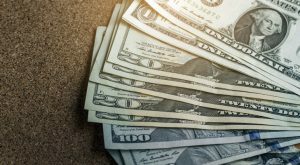 There are all sorts of creative tax loopholes out there for savvy investors to exploit, and over the years I’ve looked at (and even tried) plenty of them. But the truth is, you don’t have an army of fancy Ivy League tax lawyers to massively lower your federal income tax bill. The single best tax shelter out there happens to be one that is available to the vast majority of working Americans: the humble 401k plan. The 401k plan is the only investment vehicle I’ve ever seen that offers instant, tax-free “returns” of 100%, via employer matching. And depending on what federal tax bracket you find yourself in, you can get instant “returns” of 10% to 39.6% due to the tax deferral. That’s real money, to say the least. And all of this assumes your 401k contributions and matches sit in cash. We haven’t even touched on actual investment returns yet, fop good reason. A well-constructed mutual portfolio might return 8%-10% per year if you’re lucky, which isn’t bad, of course. But it pales in comparison to the matching and tax benefits. The humble 401k plan is a veritable money-printing machine. Yet it can be remarkably easy to make a mess of things and kill the goose laying the golden eggs. Today, we’re going to look at five potential ways to really screw up a good thing. If you saw a $100 bill lying on the ground, you’d pick it up. You’d be a fool not to. It’s free money. Yet you’d be shocked how many Americans turn down much larger sums by simply failing to contribute enough to their 401k plan to take advantage of the employer matching. For crying out loud, it’s free money. 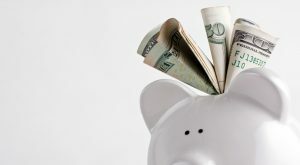 Whatever your financial situation, you should be able to carve out 3%-5% of your gross pay (which is the usual range for employer matching) to your 401k plan. If you can’t spare 3%-5%, then frankly, you need to re-evaluate your priorities. Because whatever you’re spending that money on probably isn’t worth forgoing a free, instant 100% return. Seriously, if you need to brown bag your lunch a couple times per week, it’s worth it. Make this a priority. There is a lot of confusion out there as to what “maxing out” your 401k plan really means. I’ve met plenty of people who believed they were “maxing out” their plans because they were contributing the 5% needed to get full employer matching by their company. They were leaving a lot of tax-free money on the table. In 2017, you can defer $18,000 of your salary to a 401k plan and $24,000 if you’re age 50 or older, not including the company match. And if you’re married and your spouse works, you can each contribute that much. If you’re young, single or earn a modest income, it might be a stretch to contribute $18,000 per year. But if you’re in a higher tax bracket, you should make this a priority, as nearly 40 cents of every dollar you earn goes to the tax man. And if you’re married and both spouses are working, it should definitely be doable. If it’s not … again, you might really want to re-evaluate your priorities. This is America. If you’re reading this, chances are good that you make enough money to eat and keep a roof over your head. Yes, our expenses rise over time due to inflation and family changes, such as the addition of children. But it’s safe to say that if you were able to survive on the income you earned last year, you should be able to survive on the same amount this year and do so comfortably. 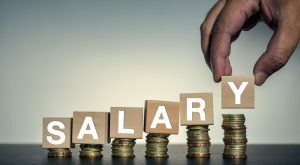 So, as you get salary bumps, try to continue living on your old salary and use the raise to increase your 401k contribution. You don’t have to eat ramen noodles or sell blood to make ends meet. Just avoid lifestyle creep, and you can get a lot closer to maxing out your 401k plan. I know, I know. That new car is just begging you to buy it. But you can stretch another year out of your old car, and 20 years from now, when you look down at your 401k balance, you’ll be happy you did. Thus far, I’ve focused on mistakes associated with not saving enough. But sometimes, life throws you little curveballs and you find yourself with larger-than-expected medical bills or some other kind of emergency. Should that happen to you, you should move heaven and earth before you take a premature distribution from your 401k plan. In addition to income taxes you would owe, you’ll also get slapped with a 10% early withdrawal penalty. By the time the penalties and taxes are paid, there isn’t likely to be a lot left to pay for your emergency. I’m naturally averse to debt. But as a general rule, I think it’s far better to borrow to cover an emergency expense than to dip into your 401k, particularly given how low interest rates are today. And, while I hope it would never come to this, it’s worth remembering that 401k funds are generally safe from creditors in the event of bankruptcy. If I were to ever have crippling expenses that pushed me to the point of insolvency, I’d prefer to default on my debts and sort it out in bankruptcy count while leaving my 401k balances intact. 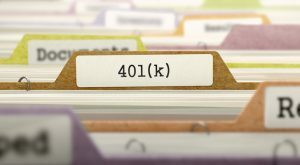 The problem with a do-it-yourself defined-contribution plan like a 401k is that it’s ultimately up to you to manage the risk. That means you have to keep a vigilant eye on your allocation particularly if you’re nearing retirement. If you’re in your 20s or 30s, you can take a 2008-caliber market meltdown in stride. You have decades to earn the money back. But if you are a couple years away from retirement, a major stock market decline could have a major impact on your ability to retire. 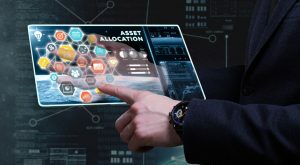 Be sure you evaluate your asset allocation at least annually to make sure that you’re not overexposed to stocks, and you should ideally have a financial adviser give it a look as well. Of course, the opposite is true if you’re young. If you’re underexposed to stocks, you might not get the growth you need to meet your retirement goal decades later. 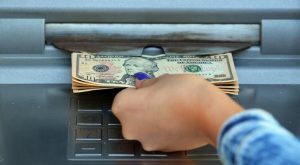 Article printed from InvestorPlace Media, https://investorplace.com/2017/05/5-ways-you-can-screw-up-your-401k/.